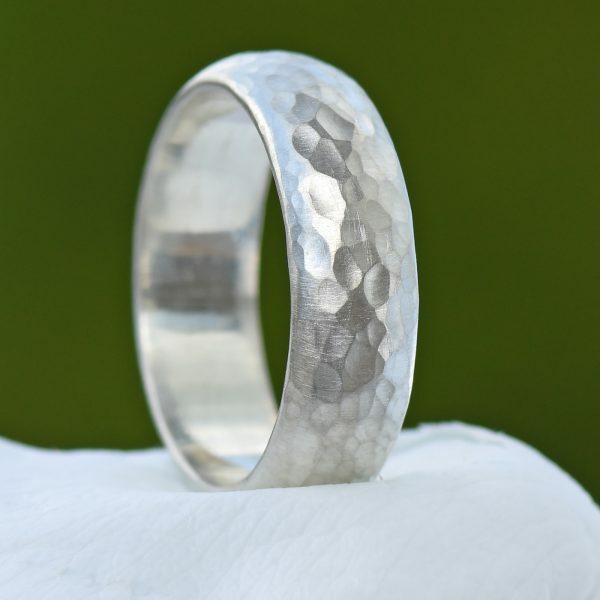 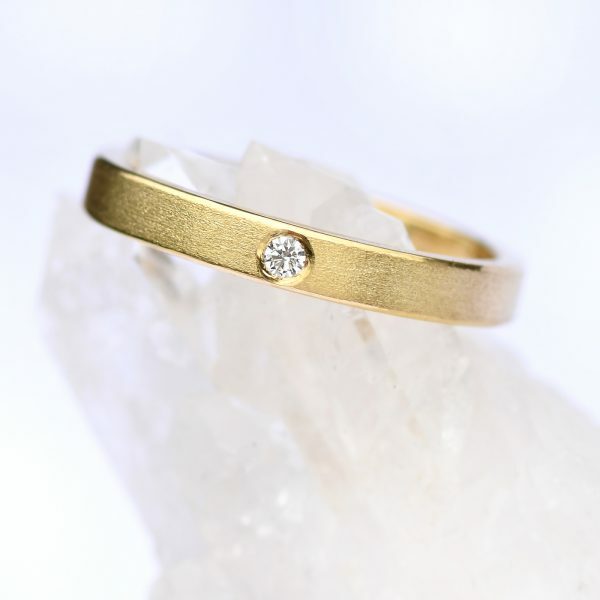 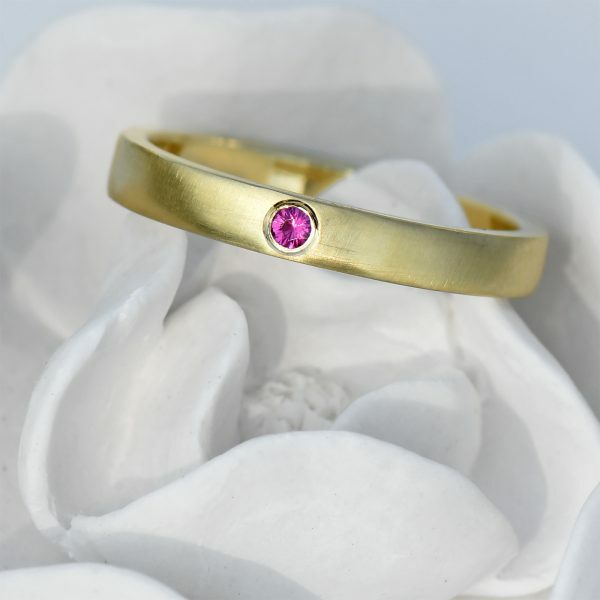 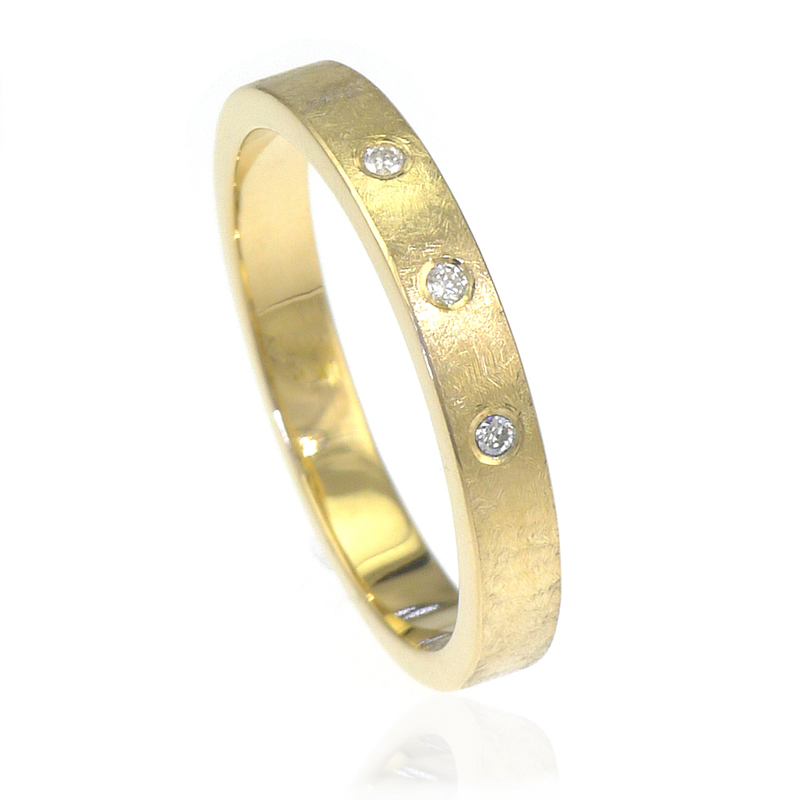 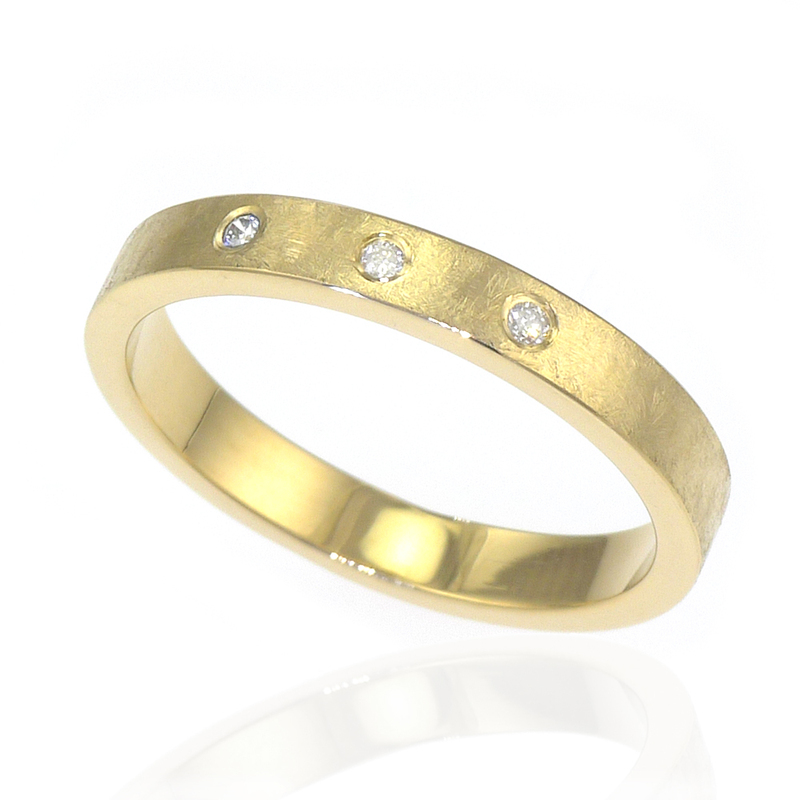 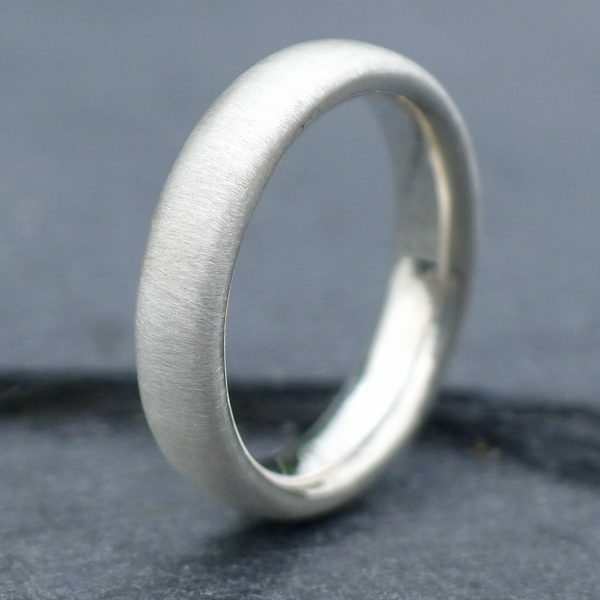 A 3mm flat diamond wedding band handcrafted by Lilia Nash. 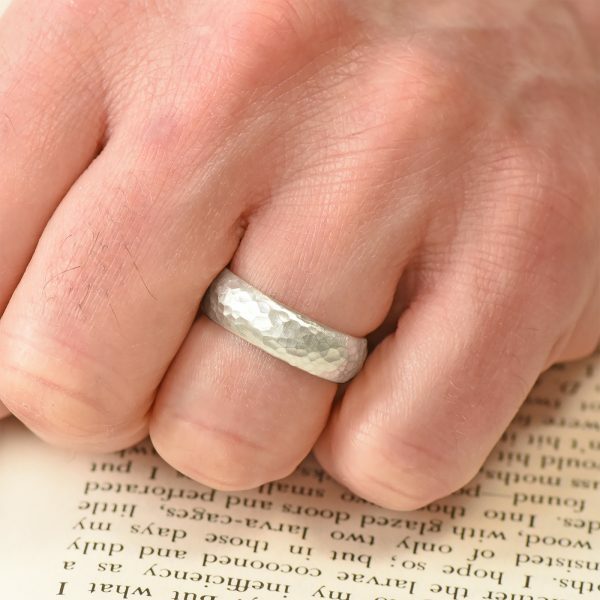 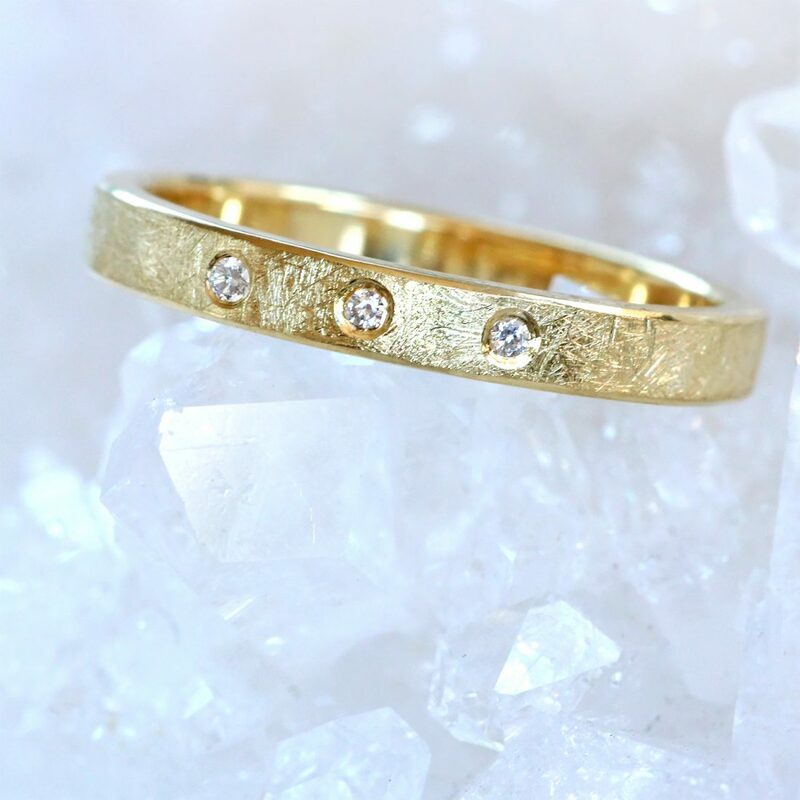 This ethical wedding band has 3 conflict free diamonds set across the top of the band. 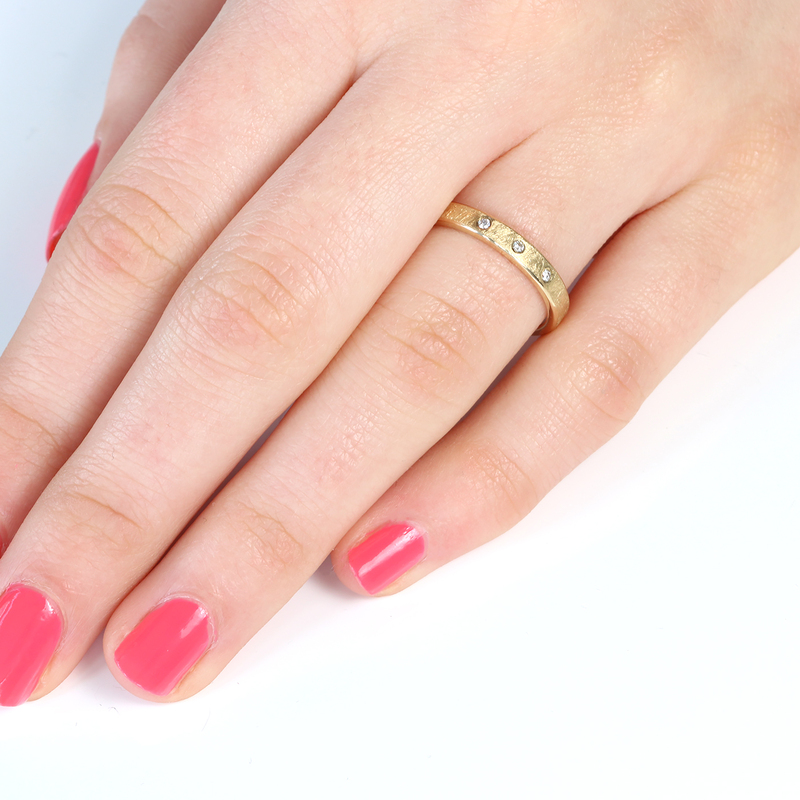 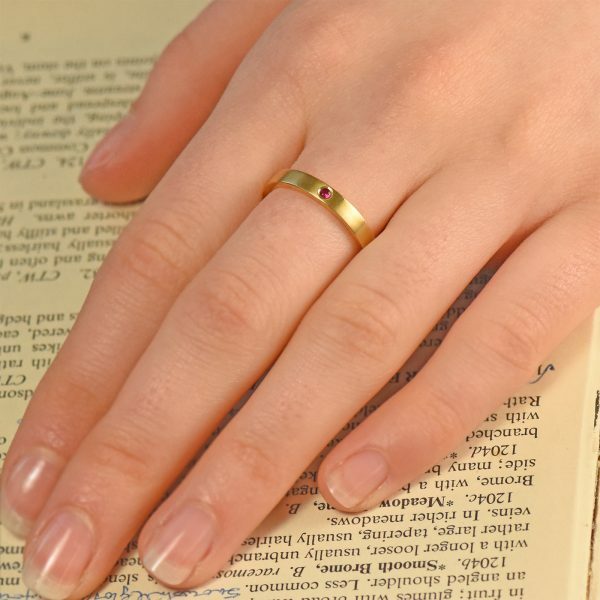 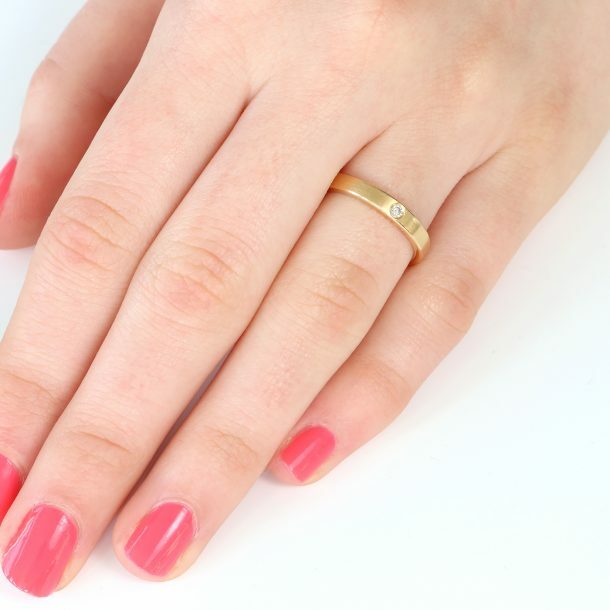 The wedding ring is handmade to order in your choice of recycled 18ct yellow or rose gold and finished in Lilia’s hand-textured urban style. 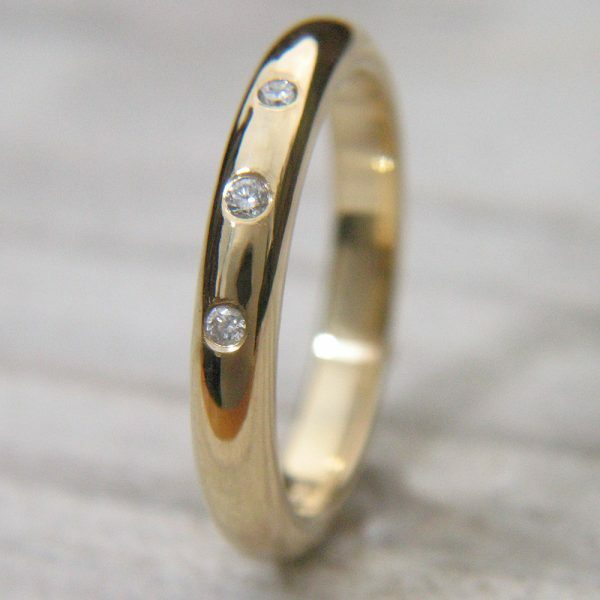 Currently available in 18ct yellow gold in size N. All other sizes and metals are handmade to order in 6-8 weeks. 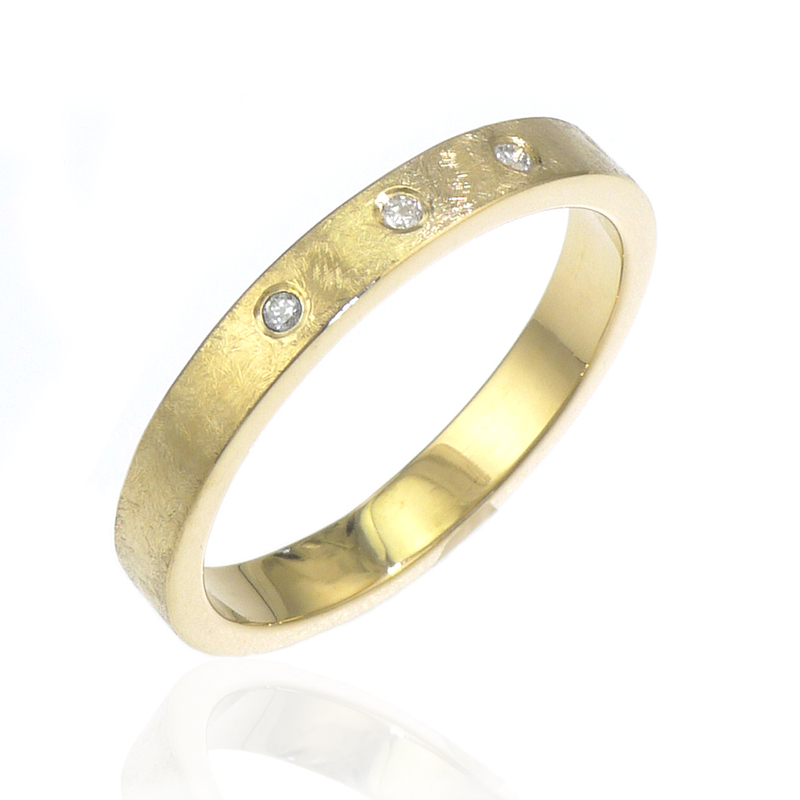 A 3mm flat diamond wedding band handcrafted by Lilia Nash. 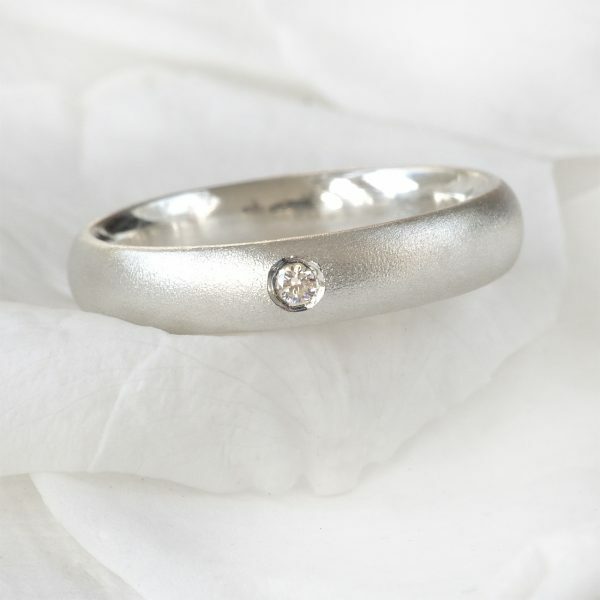 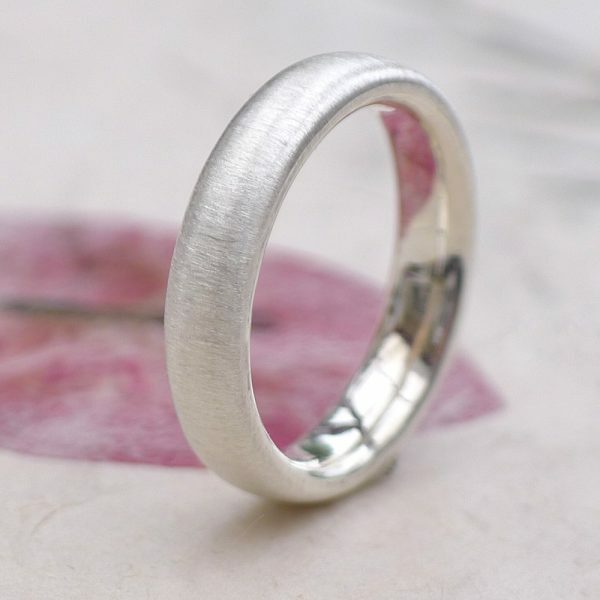 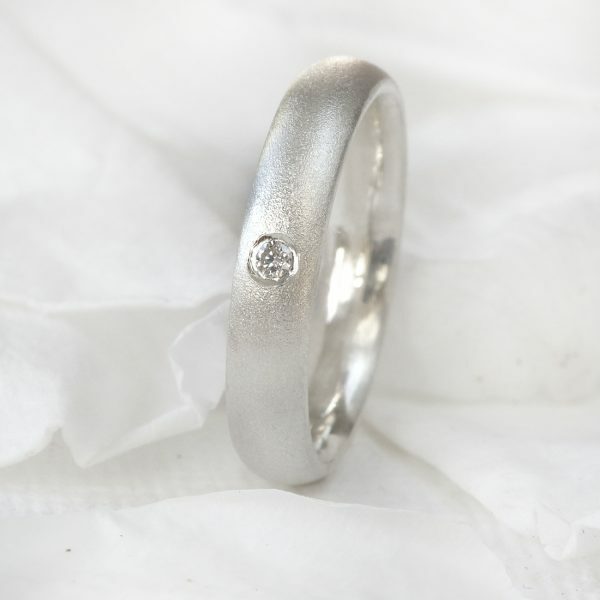 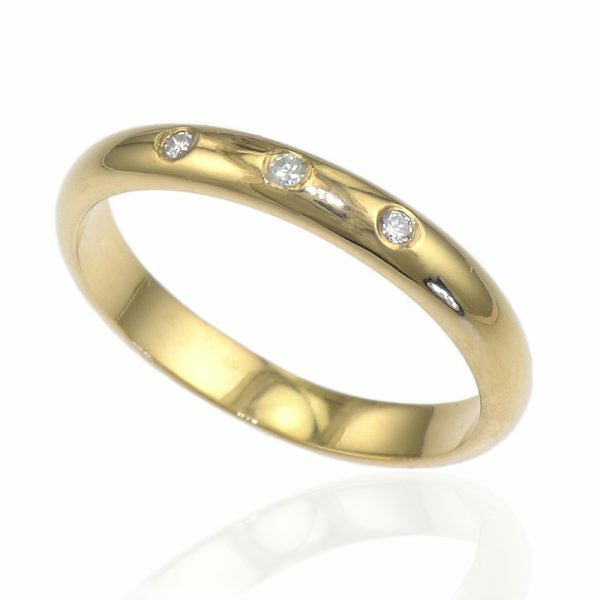 This ethical wedding band has 3 Canadian fair trade diamonds set across the top of the band. The wedding ring is handmade to order in your choice of recycled 18ct yellow or rose gold and finished in Lilia’s hand-textured urban style.